The Wellsville City Library would like to add on to the current building with your help and support . 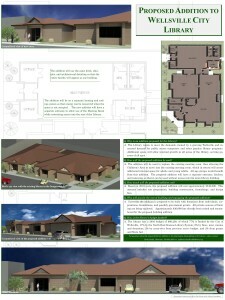 The plans include building a larger meeting room with a full kitchen, restrooms, and storage. The current meeting room would be converted into a library area dedicated to youth. This change would allow the current library space to expand the adult materials. 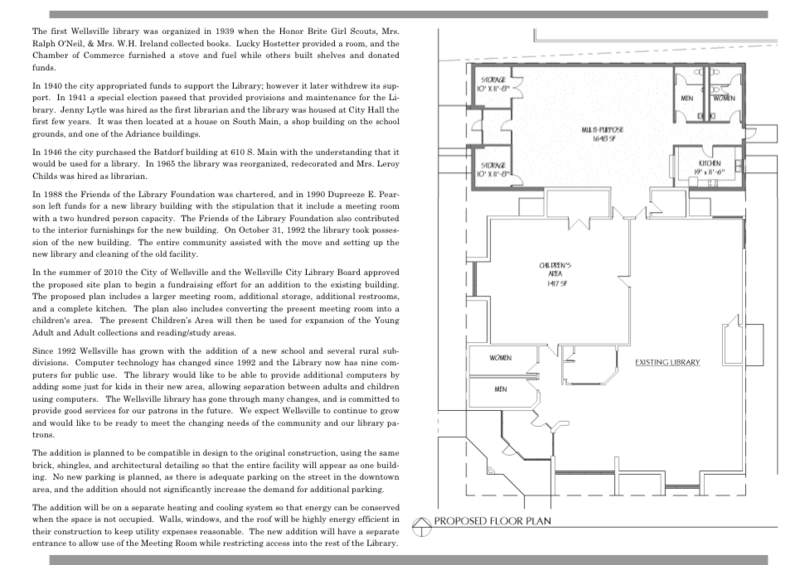 Click on the items below to find information about the Proposed Library Addition! The Wellsville City library would like to thank you to all who contribute and support this project!